Smart & Clean is accelerating change in the Helsinki Region so that in 2021 the Helsinki Metropolitan Area and Lahti will be the world’s best testbed for smart and clean solutions. The solutions created for transport, energy, housing, and the waste and water sector mitigate climate change, promote the circular economy and generate new business. The Smart & Clean Foundation is a shared tool of the Helsinki Region’s businesses, cities, research institutes and the Finnish Government for leading change. The five-year project’s mission is to develop, accelerate and orchestrate concrete change actions that provide urban citizens the opportunity to reduce their carbon footprint and improve their quality of life. Concrete solutions generate new kinds of business and they serve as export references for companies. The best solutions developed in the Helsinki Region are exported to the world, where they will reduce emissions and improve people’s quality of life. The Smart & Clean Foundation’s partners are the cities of Helsinki, Espoo, Kauniainen, Vantaa, Lahti and the Helsinki-Uusimaa Regional Council, Caverion, Fortum, Gaia, Gasum, Helen, KONE, Lassila & Tikanoja, Neste, Pöyry, Ramirent, Siemens, St1, Vaisala, YIT, Aalto University, the University of Helsinki, the Lappeenranta University of Technology, VTT, Sitra, Business Finland, the Ministry of Transport and Communications, the Ministry of Economic Affairs and Employment, and the Ministry of the Environment. The foundation’s operating period is 2016–2021. The foundation’s activities are financed by donations and contributions from its partners. Smart & Clean project was launched because the world needs solutions for mitigating climate change and using resources sustainably. Finland needs a world-class reference area and display window to boost the business and export of smart solutions and clean technology. 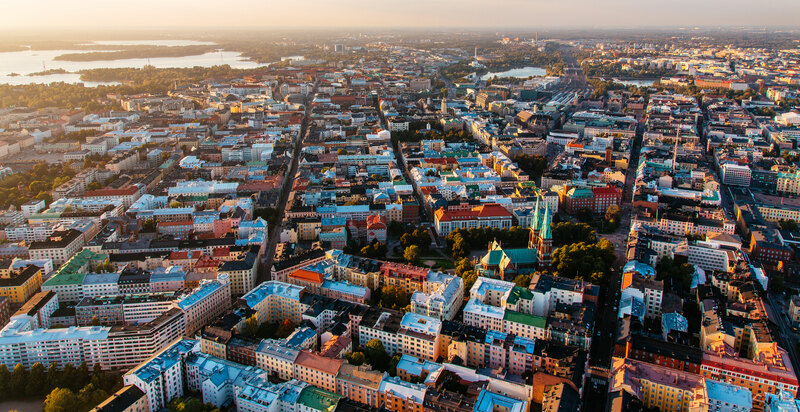 To achieve these goals, the Helsinki Region is being collaboratively made into a place where business accelerates the mitigation of climate change and helps cities create better quality of life for their citizens. At the same time, new skills accumulate in the cities and are developed together in new ways. The five-year change project, that is, the Smart & Clean Foundation, connects actors, raises the ambition level of actions, and develops the ecosystem that makes smart and clean urban solutions further towards becoming the world’s best testbed. What makes it unique is that the businesses, cities, government, research institutes and universities are all committed to working together in the long term. Compliance with the Smart & Clean criteria enables the transition to a genuine circular economy city, smart urban energy, attractive emission-free mobility, resource-wise urban citizens, and a sustainable built environment. Concrete change projects are at the heart of Smart & Clean activities. They generate solutions and services that businesses can provide to solve the problems of an urbanising world. Changes can be made in cities that help turn the sustainability crisis related to climate change and natural resources into opportunities. The upcoming transformation will enable courses of action that improve the quality of life of urban citizens. The new kind of collaboration generates innovations, such as products and services, which Finnish companies can export to the world. Smart & Clean change actions have to meet five criteria of impact. Smart & Clean actions reduce emissions, improve urban citizens’ quality of life and promote more efficient use of resources. The actors behind them come from both the public and private sector, across city and sector boundaries. The change projects create new business and references for companies, which have been tested in the Helsinki Metropolitan Area and are of international interest. This increases well-being and makes sustainable solutions more common worldwide. The change projects reduce carbon dioxide emissions and/or promote the circular economy. For example, the Smart Elements for Renovation Leap project is making old buildings smart and energy efficient through new kinds of renovation concepts. The change projects enable urban citizens to make sustainable choices and improve their quality of life. For instance, microplastics are being removed from lake waters in the Stormwater Quality Management project, and the denser air quality measurement system enables more efficient air quality improvement methods. The change projects develop sustainable business for companies, and the starting point is scaling them from pilots into successful solutions and services, both in Finland and globally. Smart & Clean changes have to create home market references for businesses. They must therefore be of international interest. The change projects always involve both private and public actors. The goal of doing things together in a new way is a permanent operating model in which new innovations, growth and jobs are born in the Helsinki Region through PPPP (Public-Private-People-Partnership) collaboration between the public and private sector. There is great demand for such collaboration models around the world, because the challenges created by climate change and the global sustainability crisis can only be met through cross-boundary collaboration.